Anbaric, a developer of microgrids and transmission projects, has formed a joint venture with the Ontario Teachers’ Pension Plan to construct $2 billion in energy infrastructure in North America. Called Anbaric Development Partners, the company will be led by the existing Anbaric management team with Ontario Teachers’ providing the financial infusion. “With our thoughtful and reputable partners at Anbaric, we will strategically invest earlier in the asset lifecycle seeking attractive returns for our members with the added benefit of participating in projects that support the transition to a low carbon economy,” he said. The partnership marks the largest financial commitment by an investor in Anbaric’s 15-year history. Plans are underway to develop a community renewable energy microgrid demonstration project in Southeast Alberta in partnership with Medicine Hat College (MHC), BluEnergy Solar Wind Canada (BSWC), and the City of Medicine Hat. 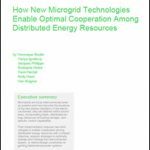 The microgrid will be made available to companies to test and demonstrate their technologies and gauge how they interact with the grid. For example, BSWC plans to test its wind and solar hybrid UrbaVento technology on the microgrid. 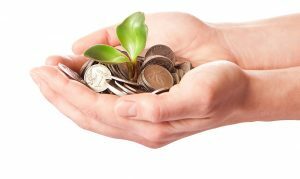 Project backers hope the microgrid will attract investors from around the world. The renewable microgrid is described in the, “Southeast Alberta Energy Diversification Report,” issued by the Economic Development Alliance of Southeast Alberta, with funding from Alberta Labor, and in partnership with Medicine Hat College. NRG Yield has broken ground on a new district energy center in Pittsburgh’s Uptown District that will deliver steam, chilled water and back-up power to UPMC Mercy, a health care provider and insurer. The plant also will be able to serve future tenants on the 28-acre site that the Pittsburgh Penguins are developing nearby. NRG Yield will be marketing the system and its benefits to businesses and organizations that want to be more energy efficient and cost-effective. NRG Yield currently owns and operates the North Shore Energy Center, two interconnected steam and chilled-water plants serving 30 buildings and more than six million square feet of space. Customers include PNC Park, the Carnegie Science Center, and Allegheny General Hospital. Join IDEA, the Microgrid Resources Coalition and Microgrid Knowledge at Microgrid 2017, Nov. 6-8 in Boston. Track the latest news about microgrids and distributed energy by following us on Twitter @MicrogridNews. Analysis: Is Siemens Redefining Microgrid?